Cloud computing is the next step towards the future in the IT business and it provides many benefits whether you are hosted on a public or private cloud. Advantages like scalability, instant provisioning, virtualized resources and ability to expand the server base quickly are what´s driving everyone to invest in this service, but what is the difference between the two? 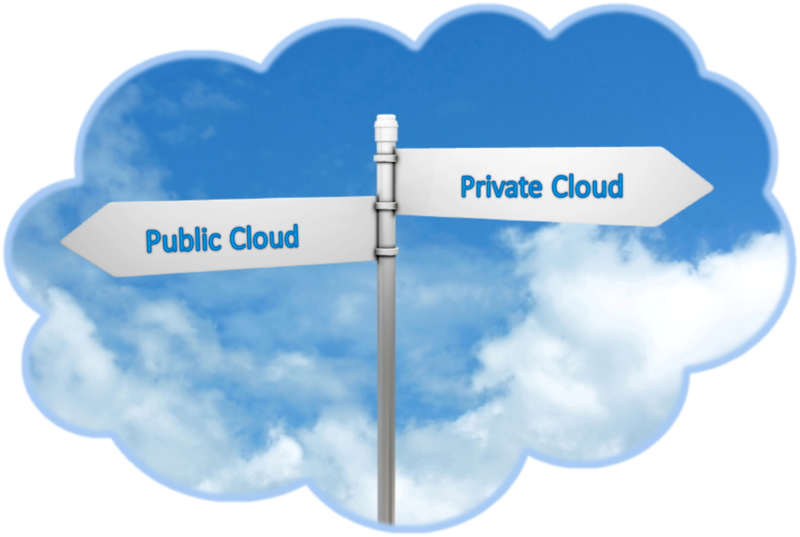 Public cloud is available to the public, accessible via web and basically is free capacity; on the other hand Private cloud is a somehow the same service but behind firewalls and many other security levels, private cloud is a managed service usually run by your hosting provider but it gives you full control and unique access to you over your data. Choosing one is an important decision for your company, many will say that public cloud represents a real threat to security due to its nature since it doesn´t offer the levels of security found in private cloud, a data breach with a public cloud hosting plan can damage your organization significantly is can result in loss of productivity, loss of revenue, expensive corrective measures to mention a few. Choosing the ideal cloud solution for you can mean the success or total loss of your business; both private and public cloud have their cons and pros it’s only a matter of identifying which will suit you best.